Check out this exquisite porcelain 5 piece set. With its unique shades of green, seems like it is suitable for any season of the year. It is winter deep, spring blooming, summer refreshing and autumn leafy. It is the perfect set for any occasion; whether you’re having people over for Sunday lunch out in the garden, or for the next family gathering during the holidays. Dishwasher and microwave safe, this set includes a dinner plate, a salad plate, a soup Bowl, a teacup and a tea saucer. 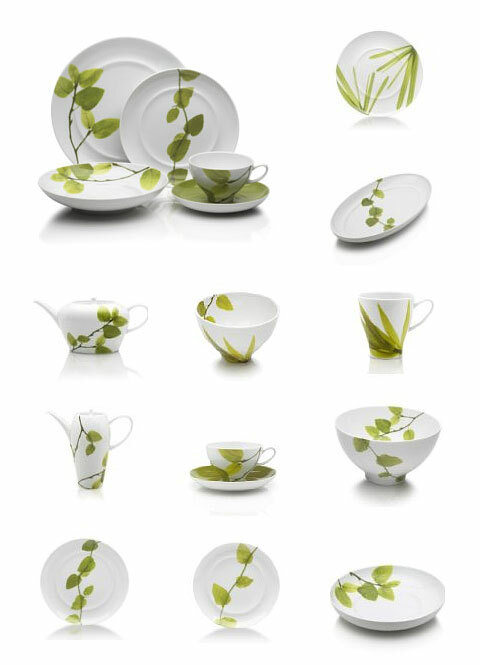 The Mikasa Daylight collection also includes various serving pieces to further enhance the tabletop: a tea server, a coffee server, a sugar bowl, a creamer, a round platter, a bread and butter plate, a cereal bowl, a mug, a charger, a large rice bowl, a small rice bowl, a small salad bowl, a pasta serving bowl, an oval vegetable bowl and an oval platter. This set is a mixture of colorful and stylish sophistication which walk on the boundaries of elegance and perkiness in perfect balance. This is exactly what your table had needed – come on, set it up!